A Rollins degree is a great launch to your career. Math and Computer Science graduates are working at top companies and attending prestigious graduate programs. Our students love to study, connect, and hang out in the Archibald Granville Bush Science Center. 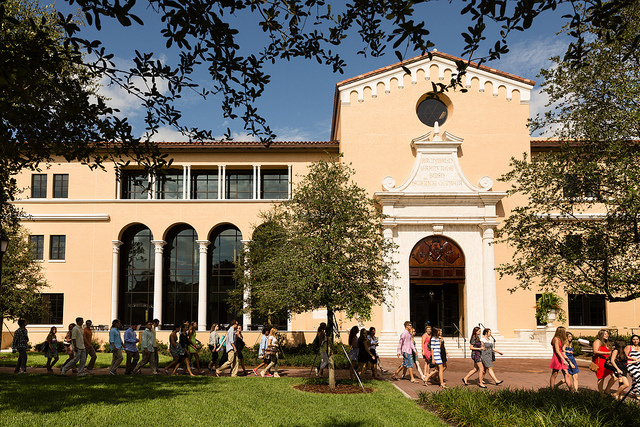 In-Demand Skills A Rollins liberal education trains every graduate in critical thinking, clear communication, and complex problem solving. In a recent study by the American Association of Colleges and Universities, 93% of business leaders agreed that these skills, more than any undergraduate major, are the key to succeeding in the 21st Century economy. 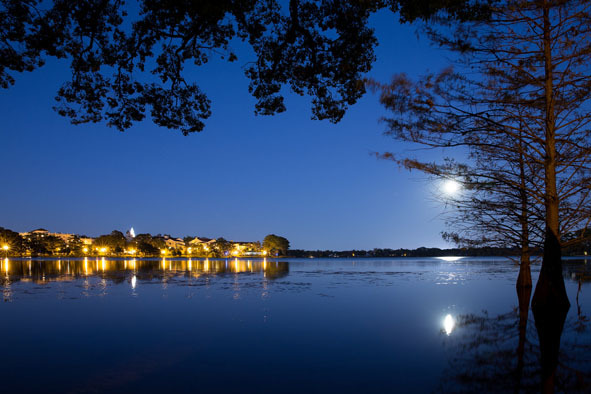 Great Outcomes A Rollins education prepares you for successful, fulfilling career. Our graduates routinely place into top positions in industry and government and go on to attend prestigious graduate programs. Read below to learn what our recent graduates are doing now. Mentoring Rollins students benefit from close interaction and dedicated mentoring by our faculty and staff. Throughout your time here, you will have the opportunity to meet with faculty advisors to refine your academic and career plans. Our nationally-recognized Center for Leadership and Community Engagement creates opportunities for our graduates to develop their skills through service to our local and global communities. Life-Long Advantage A Rollins education prepares you for all phases of your career, with demonstrated skills that will help you land a first job and a firm foundation for your future positions and promotions. Henning Ander ('16) is a graduate student at Center for Medicine, Health, and Society, Vanderbilt. Becca Juntunen ('15) is a Senior Claims Analyst, First Guard Insurance Company. Alexandra DeLucia ('18) completed a summer 2017 internship at Los Alamos National Laboratory, using machine learning to improve supercomputer performance. Michael Gutensohn ('18) completed a summer 2017 internship at NASA's Jet Propulsion Laboratory, working on robotics development. Shree Raj Shrestha ('17) accepted a position as a software development engineer at Amazon. Shree previously completed in internship at Amazon in 2016. Grace Soto ('17) is a software engineer at Lockheed Martin. Grace previously completed a digital manufacturing internship with Jabil in 2016. Julie Anna Contino ('17) was named a 2017 Grace Hopper Scholar. The Grace Hopper Celebration of Women in Computing is the world's largest annual gathering of women technologists. Cameron Lamir ('16) is currently studying artificial intelligence in the Ph.D. program at the University of Notre Dame. Huiting Terri Qu ('15) is enrolled in the Master of Finance program at Johns Hopkins University Carey School of Business.